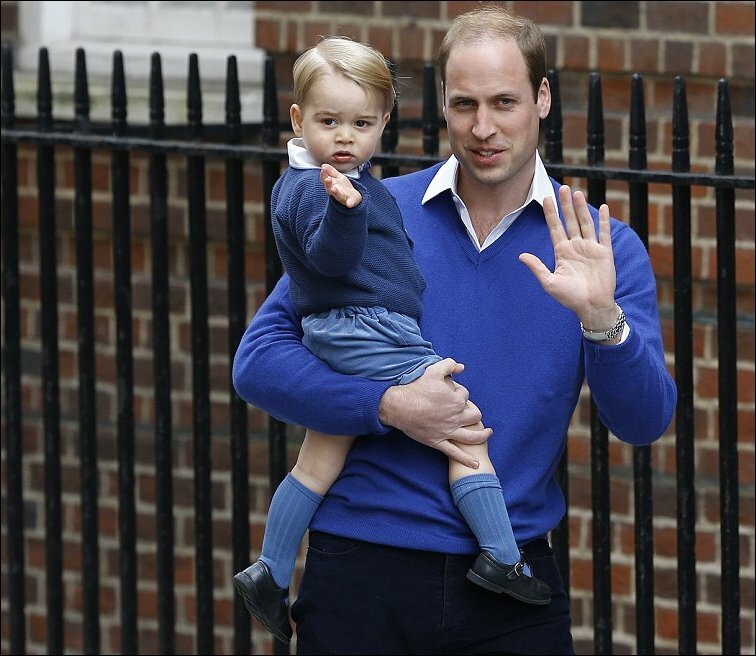 Proud new dad Prince William waves at the crowd of well wishers with Prince George Alexander Louis as they head in to the Lindo Wing at St Mary’s Hospital, so that the 22 month old can meet his new born baby sister — born today, Saturday, May 2nd 2015 at 8:34am. This entry was posted in Dad and Baby Photos, Royalty. Bookmark the permalink.